For a limited period purchase all the Sistahintheraw programmes for 50% off! A do-it-yourself programme, with immediate sign-up. Explore the purpose of a Raw Soul Food lifestyle and discover simple ways to create healthy habits. Maintaining gut health and alleviating related symptoms is not easy, as there are many factors that can cause a gut imbalance. 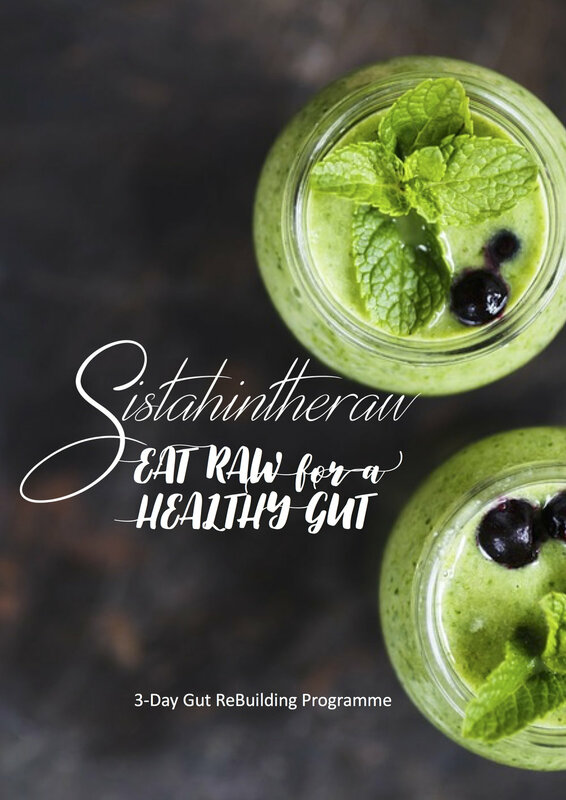 This is a 3-day programme to help reset your gut health journey and to get your gastrointestinal system functioning. This raw plant-based food programme includes all instructions, FAQs, suggestions, food lists, recipes, menu planner and a workbook to fill in.